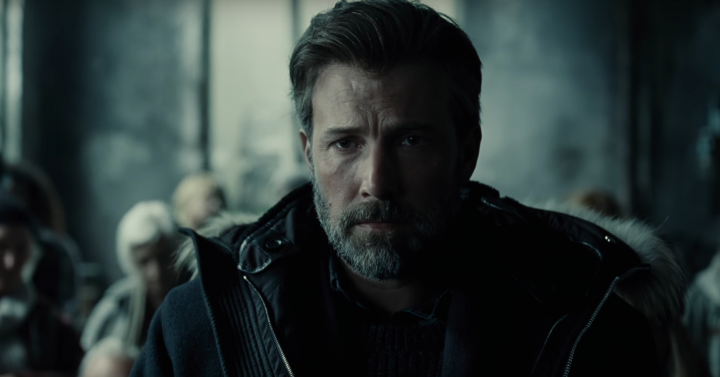 Principal Cast : Ben Affleck, Henry Cavill, Amy Adams, Gal Gadot, Ezra Miller, Jason Momoa, Ray Fisher, Jeremy Irons, JK Simmons, Diane Lane, Connie Nielsen, Ciaran Hinds, Joe Morton, David Thewlis, Amber Heard, Billy Cruddup. Synopsis: When a scion of Darkseid, Steppenwolf of Apokolips, arrives on Earth, Batman and Wonder Woman must unite a team of metahumans to defeat the forces of evil. Justice League is a film plagued by problems, not the least of which is having your “visionary” director, Zack Snyder, drop out of the project well into production due to a personal tragedy. 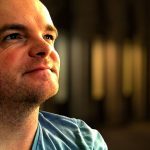 Warner Bros were roundly applauded for bringing in Marvel film alum Joss Whedon (Serenity, Avengers, Avengers: Age of Ultron) to take over as director, massaging Snyder’s vision into his own and spending two months reshooting sequences of the film to bring it into line with what the studio wanted. Off the back of the less-than-complimentary reception for Batman V Superman, to say nothing of the scorched-earth reviews for Suicide Squad, Snyder’s Justice League went into production well before the theatrical release of Patty Jenkins’ enormously successful Wonder Woman, which means that the first theatrical feature film to involve not only key DC players like Batman and Wonder Woman and Superman, but also Aquaman, The Flash, and the relatively unknown Cyborg, had a high bar to reach, let alone leap. 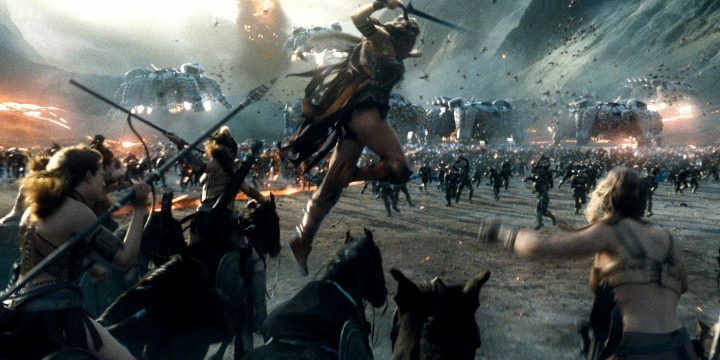 The phrase “course correction” is overused a lot in today’s film discussion, specifically when it comes to franchise properties such as the DC Extended Universe, but you could sense after Wonder Woman’s solo success the studio boffins took the opportunity to fiddle with the mandate given to Snyder once he had left the production. The film kicks off not long after Batman V Superman’s death of Superman storyline, with Lois Lane (Amy Adams) and Martha Kent (Diane Lane) mourning the loss of Clark (Henry Cavill), while Bruce Wayne (Ben Affleck) and Diana Prince (Gal Gadot), as Batman and Wonder Woman respectively, continue their fight against crime by defending the helpless. 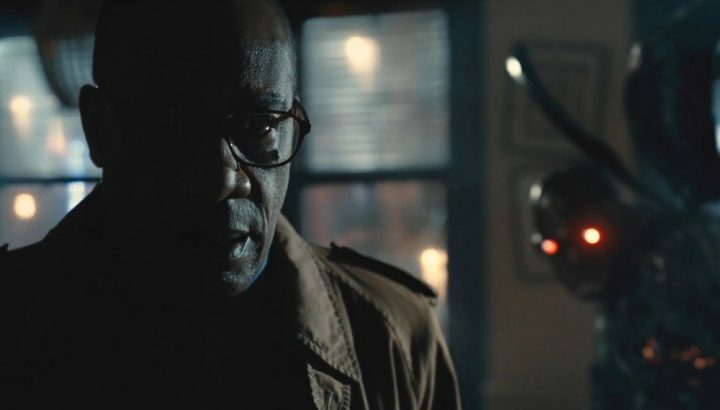 Bruce knows there’s an otherworldly invasion coming, after locating several Parademons from a distant world, as well as mention of three mysterious boxes in Lex Luthor’s files. He soon learns that the boxes are cubes of energy wanted by Steppenwolf (voice of Ciaran Hinds), a New God from the warworld of Apokolips, home of Darkseid, who yearns to claim Earth as his own and turn it into a wasteland. The three Mother Boxes are kept hidden by the Amazons, led by Queen Hippolyta (Connie Nielsen), and the sea-dwelling Atlanteans, of which Aurthur Curry (Jason Momoa) is a resident, and finally STAR LAbs in Metropolis, who have a box in their keeping since General Zod’s attack on the city. 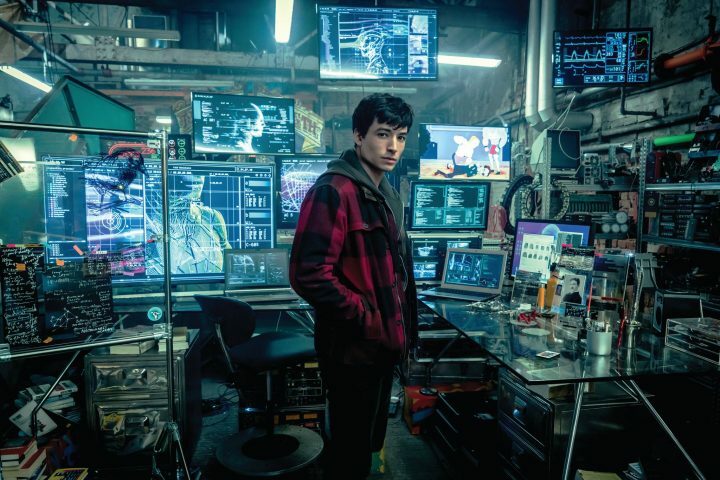 With Superman dead, Batman and Wonder Woman seek out both Aurthur and cyborg Victor Stone (Ray Fisher) as well as speedster Barry Allen (Ezra Miller), known as the Flash, in order to combat the Steppenwolf threat. Justice League isn’t a perfect film, and it’s wholly not as bad as Batman V Superman, but the problems behind the scenes arguably translate to something of a mess in front of the camera, and it’s all too obvious the film is lamented for its studio interference. The fact that Henry Cavill’s Superman, last seen dead at the hands of Doomsday in Batman V Superman, wasn’t included in any of the film’s marketing propaganda, meant one of the crucial elements of DC’s bag of tricks was missing throughout – c’mon, who was ever going to buy a first-up Justice League film in which the Man Of Steel doesn’t appear? – and I think the marketing team missed that opposition to sell the “big return”. 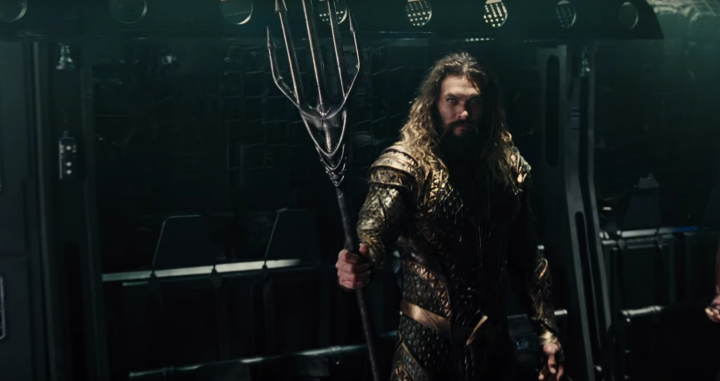 As I’ve said all along with the DCEU, not introducing the singular characters of the League in solo films first (discounting Superman and Wonder Woman, of course) was a tricky proposition – audiences at a casual level who might not know Aquaman’s history, for example, might need more than a five minute moment of exposition before throwing him in with Superman et al. 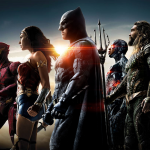 DC’s intent to fling their biggest marquee players into a single film felt like an idea rushed, and as loathe as they might be to suffer comparisons with Marvel’s MCU expansion gladly, at least Marvel did it the right way by giving each of their big Avengers a solo film before pushing them into a team-up. 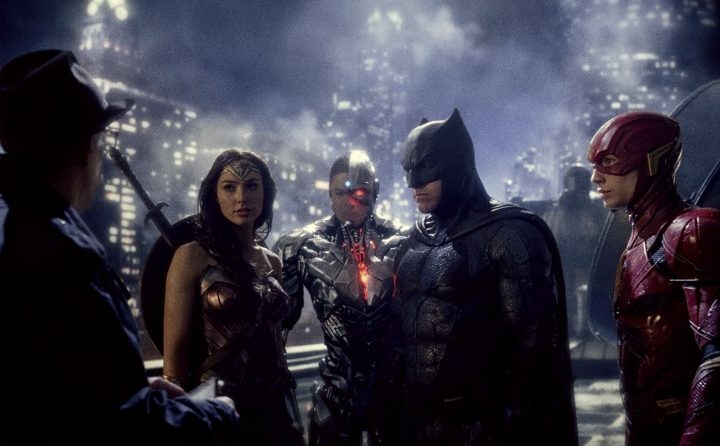 The jarring disconnect between Zack Snyder’s darker, controversially nihilistic vision of DC’s biggest heroes in Man Of Steel and Batman V Superman and Joss Whedon’s jokey, far more accessible Justice League retooling is palpable. While Justice League contains all the hallmarks of Snyder’s visual aesthetic (he’s credited as director, whilst Whedon gets a screenwriting credit) there’s very little of the previous films’ edginess here, replaced instead by an almost forceful uplifting of spirit; the script continually namechecks DC’s established themes of hope and idealism, as if trying to rectify Snyder’s acutely unpopular style of storytelling. In doing this, Justice League finds itself misfiring in its thematic cues, weaving laughs and fun betwixt characters utterly devoid of it. Even Gal Gadot’s hopeful Wonder Woman seems smothered by the burden of leading the League – although this arc lacks width and feels hidden by Batman’s “getting the band together” plot device, much to my annoyance. Ben Affleck’s caped crusader is by far my favourite iteration of the character yet put to the big screen, but the actor looks bored (or confused) by what he’s given to do and his quips throughout the film feel at odds with his previously established persona. The unrelenting mission to entertain, as opposed to examine and underscore the idea of heroism Snyder worked to encompass in his previous films, is an unabashed course correction for the franchise, no doubt with nervous Warner Bros executives hovering about in the editing bay. The film contains very little of the trailer footage seen in the numerous clips available online, testament perhaps to the excision of Snyder’s vision and the addition of Whedonesque lightness to capture similar brevity to Marvel’s hugely successful brand. 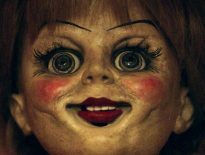 It works in part, thanks to the film’s insistence of propelling its story forward no matter the cost – even if that cost is characterisation or development of any significant nature. Egregiously, Jason Momoa’s Aquaman and Ezra Miller’s Flash are short-thrifted in a major way, offering tidbits of backstory and unseen plot points I’d have enjoyed seeing more prominently, but alas. Aquaman’s cool-bro persona is different to the tortured soul character I read in the comics, while Miller’s Flash is the film’s glib joke provider, more’s the pity. 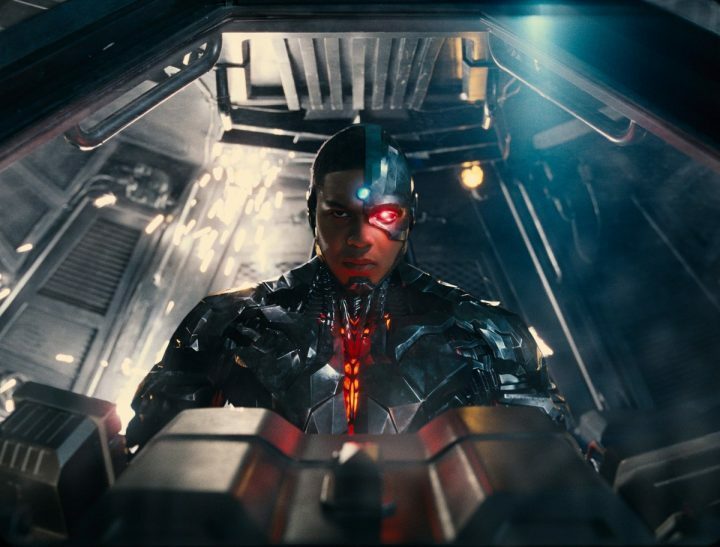 Ray Fisher’s Cyborg, the character I was least interested in coming into this, is the sole proprietor of the film’s heart-and-soul; his plight as a cyborg wrestling with his lost humanity an effective heartbeat in an otherwise soulless affair. The supporting cast are all secondary to the main event. Amy Adams and Diane Lane waste spend their time on-screen discussing their personal plight now that Clark is dead, while JK Simmons’ Commissioner Gordon, Billy Cruddup’s incarcerated Henry Allen, and Amber Heard’s aquatic Mera are all reduced to simplistic cameos. 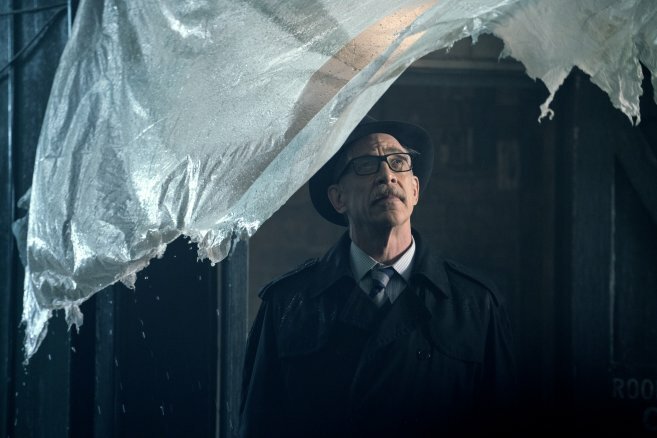 Simmons’ version of Gordon is far different to Gary Oldman’s take in Nolan’s Dark Knight trilogy, which is good, but there’s simply no time to enjoy it in the film’s quest for narrative expediency. Heard and Cruddup will no doubt be seen more in their respective heroes’ solo films, so I guess if we only get a taster here it’s for the process of giving us a hint of things to come, but I would have liked to see many of these supporting acts given a little more heft when responding to the arrival of Steppenwolf. Then there’s the film’s central villain, Steppenwolf. 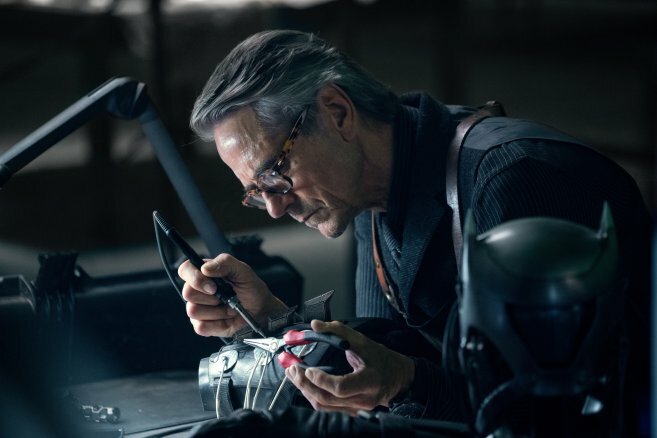 A CGI-riven action figure, Steppenwolf’s stature as a B-level Jack Kirby invention is flakey at best, motivated by… well, who cares, and spends much of the film serving as a punching bag for our titular team-up. Steppenwolf’s army of Parademons, the entirety of which is vaguely reminiscent of Ultron and his robotic minions, and as with that infamously ineffective Marvel villain, Steppenwolf takes an absolute pounding from the League before he’s vanquished in the most laughable manner possible. Ciaran Hinds’ voice work on the character is thunderously accented with bass, and naturally gifted with lines of dialogue so pompous it almost makes an actor of Hinds quality stumble with the material, but I really rather enjoyed the simplicity of the thing. We don’t always need a complex or intellectual villain to maintain interest in a superhero film, sometimes we just need a Capital B Bad Guy to test the raw power of our heroes’ armoury. Steppenwolf, while dispatched relatively easily, made a nice, if overly CG’d villain for the League to form against. And of course, there’s the issue of Superman. Henry Cavill’s appearance in the film features a lot of digital moustache removal – the actor was contracted to have a moustache for his role in a Mission Impossible film, and Warner Bros has to digitally remove it at great cost following the actor’s significant time in reshoots – and it’s incredibly noticeable. It may not be, on smaller television screens, hidden by distance, but on a giant cinema screen Cavill’s upper lip and jawline looks positively creepy. That said, the manner in which Superman returns to life and takes his place as the muscle of the League (although it must be said both Gadot’s Wonder Woman and Momoa’s Aquaman go toe-to-toe with Steppenwolf and acquit themselves superbly) is as grand a screen return as I could have hoped for. Cavill appears to be having fun in the role, finally, and although Justice League is beset with problems, the character of Superman is easily the least of them. His triumphant in-costume return is heady stuff, pounding on Steppenwolf and really showcasing why he’s DC’s preeminent superhero. Additionally to Cavill’s moustache removal, much of the digital artifice of the film is woefully handled; the seams of the film’s reshoots can easily be spotted, through not only oodles of green-screen and ropey CG body-doubles, but also through several bizarrely choppy editing choices. 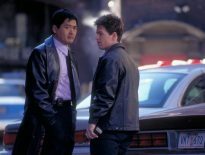 The latter issue is largely contained to dialogue sequences, meaning the action scenes must have either been completely re-shot or left untampered with. A further disappointment will be Danny Elfman’s score, which is buried beneath the film’s behemoth sound design. Listening to the score in isolation provides a few neat little surprises, such as Elfman’s ’89 Batman theme and John Williams’ Superman motif, of which the film hints at when clear air rises amid the destruction. Otherwise, Elfman’s themes aren’t strong enough to really elevate the thrill of seeing these iconic heroes on the screen together – Elfman is certainly no Hans Zimmer – and I felt the musical material largely remained inconsequential. Justice League is a film in desperate need of motivation. On the one hand, it’s trying desperately to recant past sins against a studio’s most bankable characters, and on the other its trying to keep the brand on-point while offering an adjustment in overall aesthetic. Whedon’s jokey script, filled with one-liners and asides that are as funny as they are overly kitschy, together with a pulsating edit designed to propel the story along as fast as humanly possible, are problematic in their lack of care for Snyder’s carefully constructed real-world themes, much as most people hated them. As a continuation of the DCEU this film is a sharp left-turn into Marveltown, which may please some but will frustrate others. Honestly, though, despite all the issues with the film’s characterisation of its heroes, the iffy villain and the laughable use of CG to transform Henry Cavill’s Superman into a non-mustachioed beacon of hope, its jumble of thematic branches and sense of studio-meddling confusion, to say nothing of the general sense of cart-before-horse world-building the DCEU has always struggled with, Justice League is enormously entertaining. I had a blast with it. It’s a muddled, confused affair trying to offer everything and nothing in equal measure (a mid-credit sting involving Superman and the Flash in one of comics most memorable touchstone moments, had me smiling wildly) but it’s an improvement over Snyder’s previous efforts in terms of sheer enjoyment and a comparatively clunkier ride alongside Patty Jenkins’ Wonder Woman. There’s crowd-pleasing moments aplenty, and a smorgasbord of comic-book geek fanservice at play here too. Yeah, it could have been so much more (and it certainly could have been far worse! ), but for what we get there’s plenty here to sit back and just enjoy. Here here! Well said, mate! Thanks mate! You reviewing it at some point? After reading this, I was surprised to see a B grade. Sounds like a C, lol. I agree this is a film with lots of problems. You seemed to enjoy the heavier parts of it more, for instance the Cyborg storyline, while I enjoyed the lighter things better. I think that speaks to the bigger issue. What Snyder was doing and what Whedon did doesn’t mesh all that well. It’s a good deal better than BvS, but feels like it could’ve been much better. We’re in agreement that solo flicks for Aquaman, Flash, and Cyborg would’ve helped tremendously as this film wouldn’t have had to spend so much time introducing them to us. It gets a B from me simply because I had a blast watching it. Recognising its faults and flaws doesn’t lessen the film (IMO) and I would imagine in about ten years or so I might reconsider this score, especially if a sequel comes along that’s decisively better, but in spite of everything people have pointed out that’s wrong, I did enjoy it so it’s better for that than it otherwise might be. Same could be said of Geostorm, really. A totally garbage film that I had an absolute blast with, and for many of the same reasons!